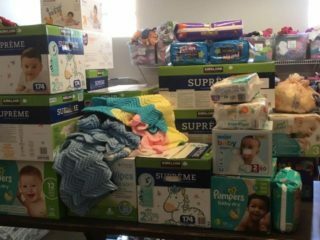 Thank you to all our supporters at Sacred Heart who helped the Knights collect just over 2500 diaper and other baby supplies during this year’s Thank You Mom campaign. This brings our four year total to just under 13,000 diapers. We greatly appreciate your help in supporting babies after they are born. We received the following note from the director of HELP Pregnancy. Thank you for your generosity in celebrating Mother’s Day with your Thank you MOM Diaper Drive. 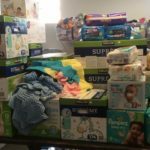 Diapers are the #1 baby essential, they are so important in our mission to moms and babies in our community. In 2017, to the present moment, HELP has given away 82,632 diapers, because of your thoughtful support we can meet this need with love and compassion. Great job putting words into action for LIFE! May the blessings you bestow on us return to you a hundredfold.